Write EVERY Day | getWrite! 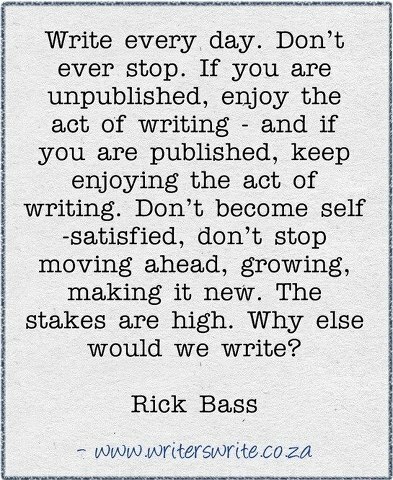 This entry was posted in Latest News, The Writers' Block, Writing Quotes and tagged craft, discipline, habit, persistence, Rick Bass, write every day by Hadlee. Bookmark the permalink.